One small kitten can make all the difference when you return to the place you call home. 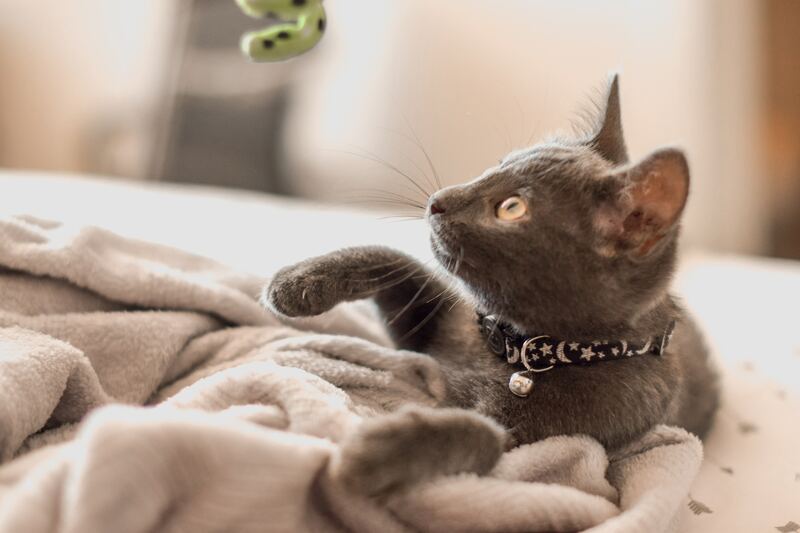 At CatSmart, we believe that home is where a cat is; and every kitten should be given the chance to live, grow and thrive in a forever home. For those with plenty of love to go around, we’re here to help you find the purrfect companion. Loving and affectionate with the cuddly appearance to match, British Shorthairs are the teddy bears of the kitty world with their rounded features, dense fur and sturdy body. Their short coat requires little grooming, which makes them a low maintenance breed. The British is also known for their good health (and manners), and we consider them great companions for single people or new cat owners. Find out more about British Shorthairs here. The fun-loving and playful Munchkin may have drawn the shorter end of the stick, but is far from shy when it comes to showing affection. Incredibly quick and active on the ground despite his stubby legs, this outgoing kitten is an endless ball of energy that gets along well with children and other pets. Great things often come in fun-sized packages, and the Munchkin is definitely one of them. Find out more about Munchkin cats here. With their chubby cheeks, folded ears and oh-so-sweet disposition, it’s no wonder Scottish Folds are such social kitties that thrive on human attention and love. These sweethearts are renowned for posing in unique positions, and enjoy sharing a bed with their owners. Scottish Folds are very calm by nature and express great versatility when adapting to new environments. Find out more about Scottish Folds here. Persians are dignified and trusting companions with a laid-back personality to boot. With a unique flat face and luxurious long coat, these medium-to-large sized kitties will need to be brushed and combed daily. And while they may be the epitome of a lap cat with their sweet, gentle personality, we do not recommend Persians for households with younger children as this breed tends to shy away from loud noises. Also known as puppy cats, Ragdolls are extremely loyal and devoted kitties who will follow their humans just about anywhere. Despite being one of the largest cat breeds, these are lap cats that adore human companionship and can be taught how to play fetch. With their naturally relaxed and easygoing personality, Ragdolls make wonderful family pets. 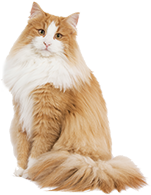 The breed is also relatively easy to care for as matting generally does not occur with the semi-longhaired coat. What do you get when you cross a Persian with a petticoat? An Exotic Shorthair! Also called The Lazy Man’s Persian, the Exotic is a mirror of the former’s charming qualities, with the exception of a shorter, plush coat that is easier to care for. Exotic Shorthairs are incredibly affectionate lap cats that can get lonely when left alone too often. Beautiful and intelligent with a gentle demeanor to match, these athletic felines fit easily into family life. Despite their dense, long fur, Norwegian Forests rank relatively low on the scale when it comes to grooming needs (with the exception of shedding season). As a slow-maturing breed, they also retain their kittenish vigor for up to five years. For all kitten enquiries and availability, contact us at +65 6250 6866 or private message us here.